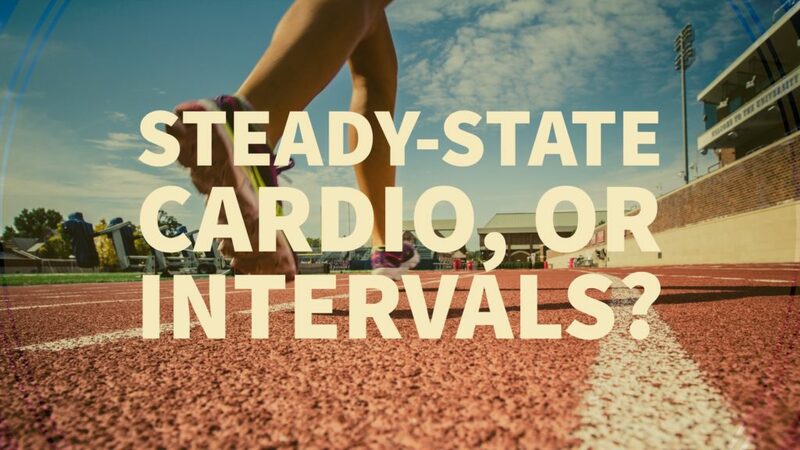 Steady-state cardio, or intervals? Ah, that is the question .. So, which is better for a goal such as weight and fat loss? The answer is .. (insert drumroll here) .. both. Interval training can be done 2-3 times per week, and another workout session can be geared in steady-state training. The benefits of both combined will give you a balanced result. Mix it up to avoid injury and plateauing (getting stuck at a weight loss/fitness level). Try both kinds, and different types. If you are a gym-goer and use the cardio equipment: try the intervals setting on the elliptical, the treadmill, the bicycle, etc. If you’re an outdoor enthusiast: run, ride a bicycle, go swimming. If you’re in a place where you want to explore ensuring that you’re getting the most out of your exercise time and energy, as well as keep yourself safe from injury, reach out to me.